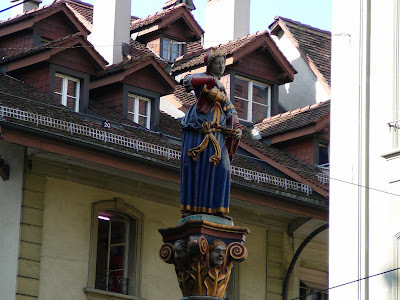 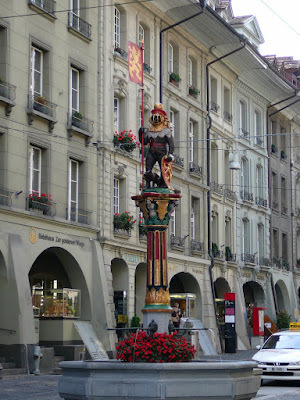 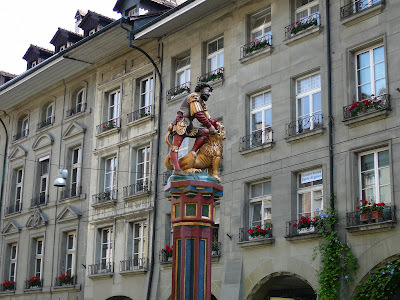 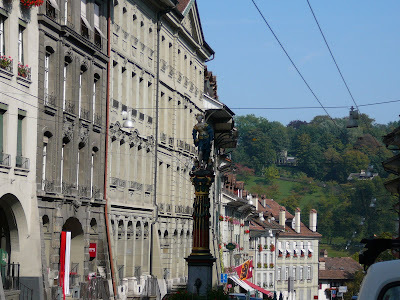 "There are well over 100 fountains in Bern. 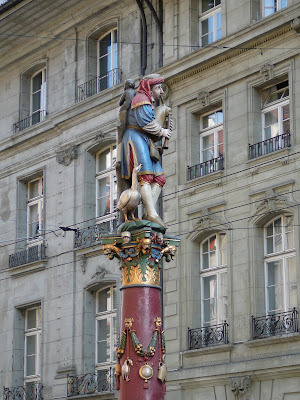 11 of them to this day feature the original statues with their beautiful allegorical figures. 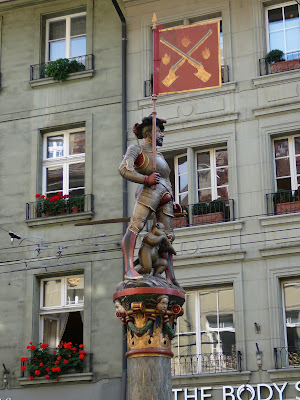 These fountains - Gerechtigkeit (Justice), Chindlifresser (Ogre), Zähringen and many more - dating from the 16th century bear testimony to the wealth of the bourgeoisie at that time."